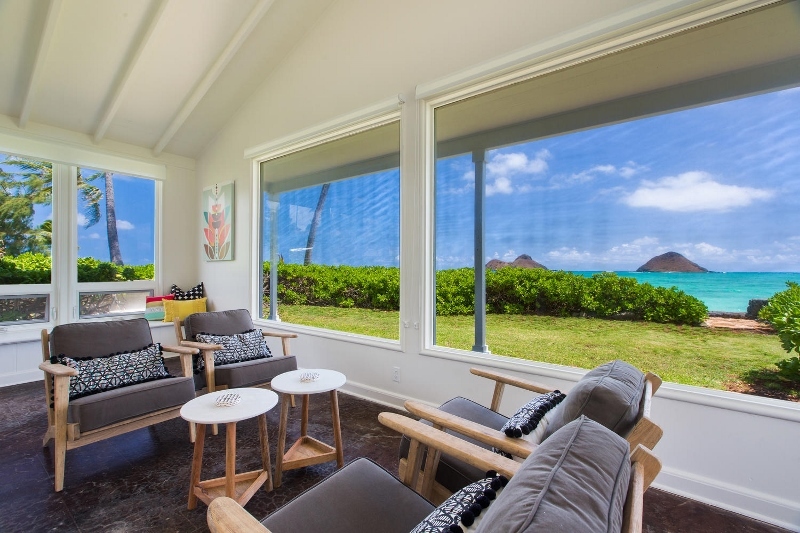 Lanikai by the Sea – Luxury Vacation Homes, Inc.
With front row seats to the ocean and the famous Mokulua Islands of Kailua, Lanikai by the Sea offers the best views in the house. 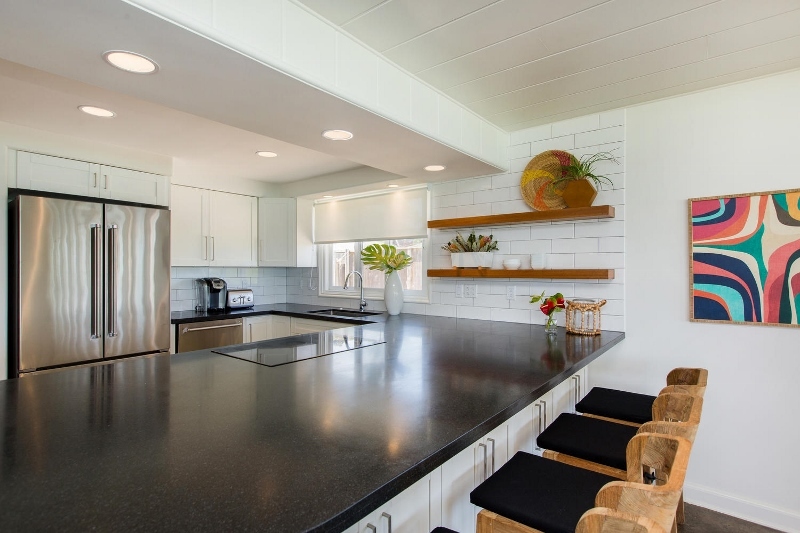 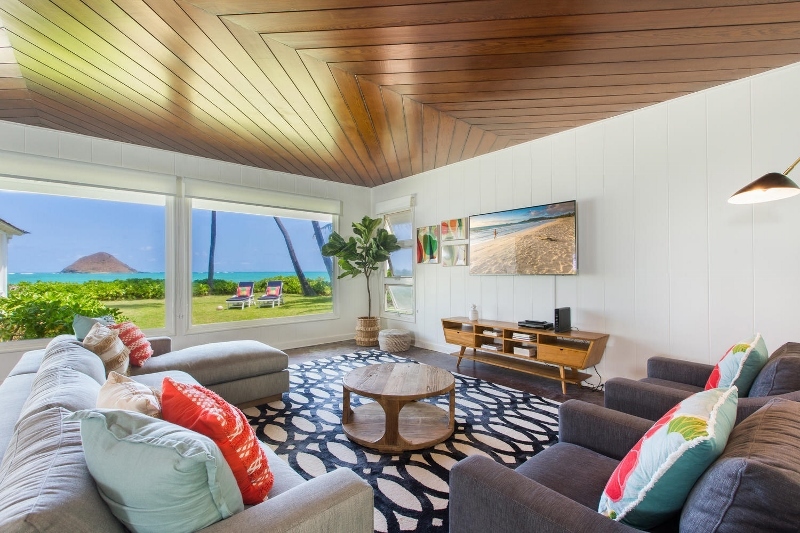 Newly renovated, this tropical modern oceanfront beach home is open and spacious, yet warm and inviting. 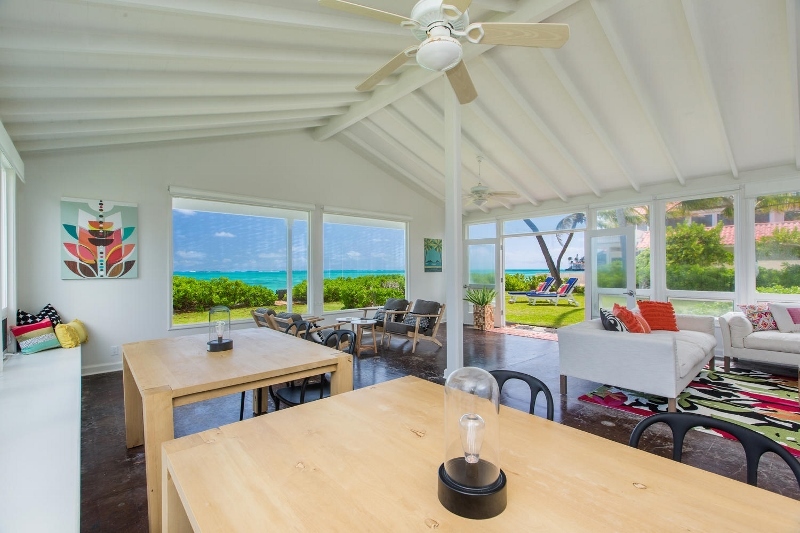 Wake up to the sounds of the sea, breathe in the fragrant salty air and watch the magic in the sky as the afternoons turn into evenings. 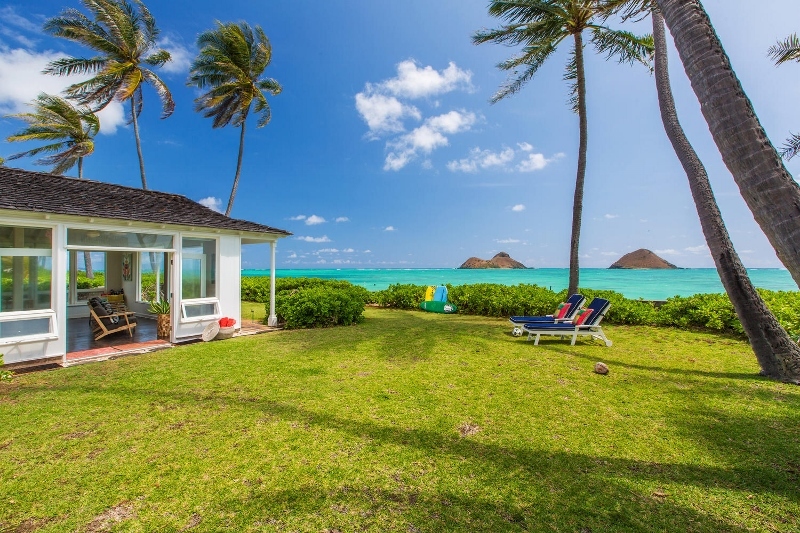 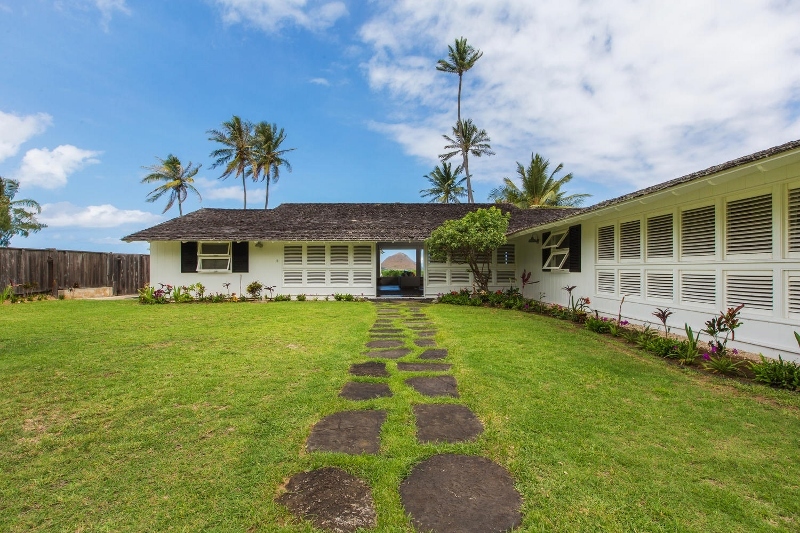 Built in the 1940s, Lanikai by the Sea was once the summer home to Princess Abigail Kawananakoa, a beloved Hawaiian princess who was a politician and ruler in the historic Hawaiian monarchy. 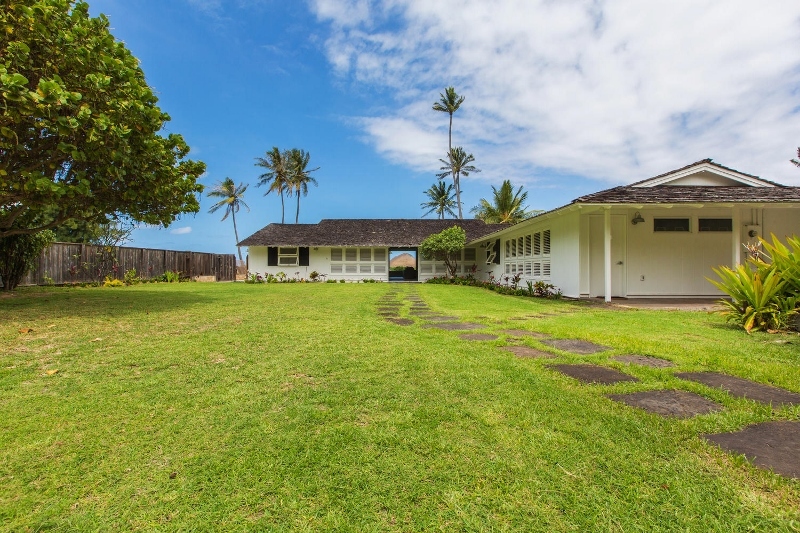 Kept within the royal family for years, the home was later sold to a respected prominent family of Hawaii in 1956. 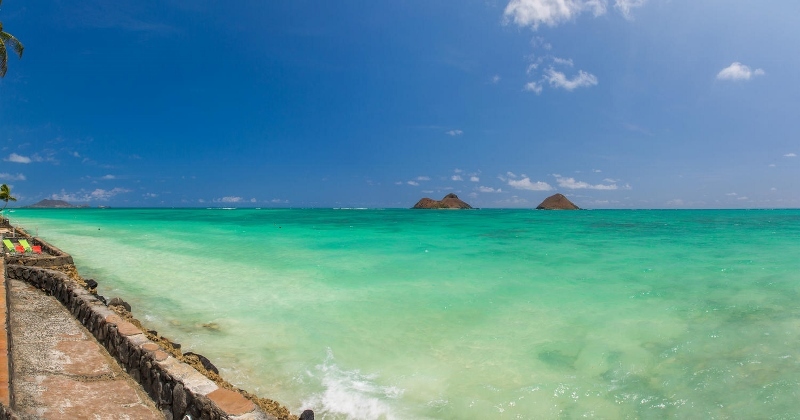 Lanikai by the Sea embodies a special historic energy, and it is no wonder why so many influential individuals have chosen it over and over again. 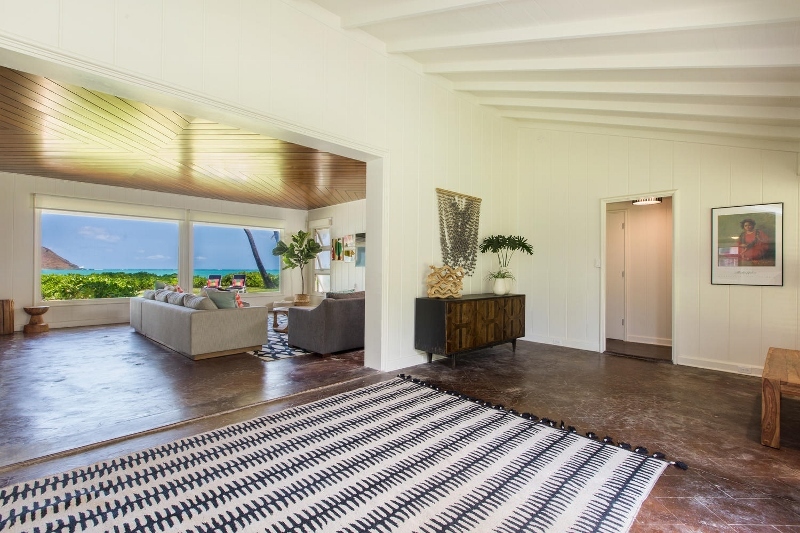 Sitting on over 25,000 sq. 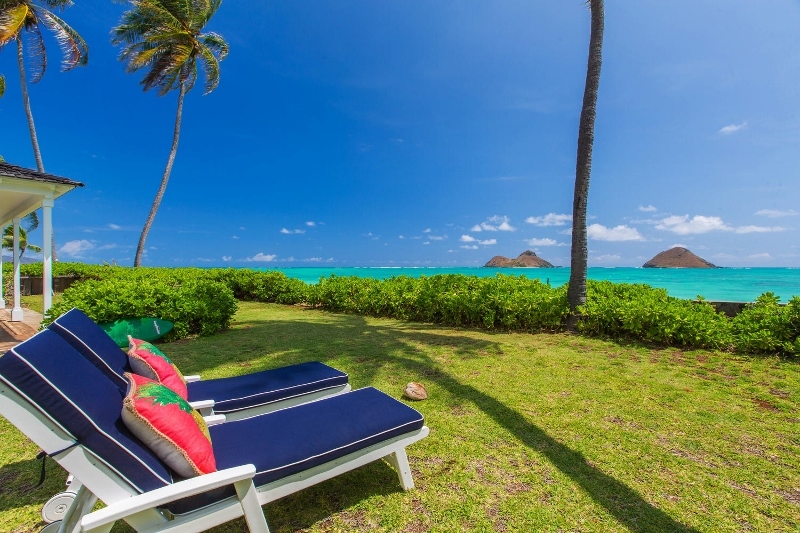 ft. of land, Lanikai by the Sea features an expansive yard space with warm tropical landscaping. 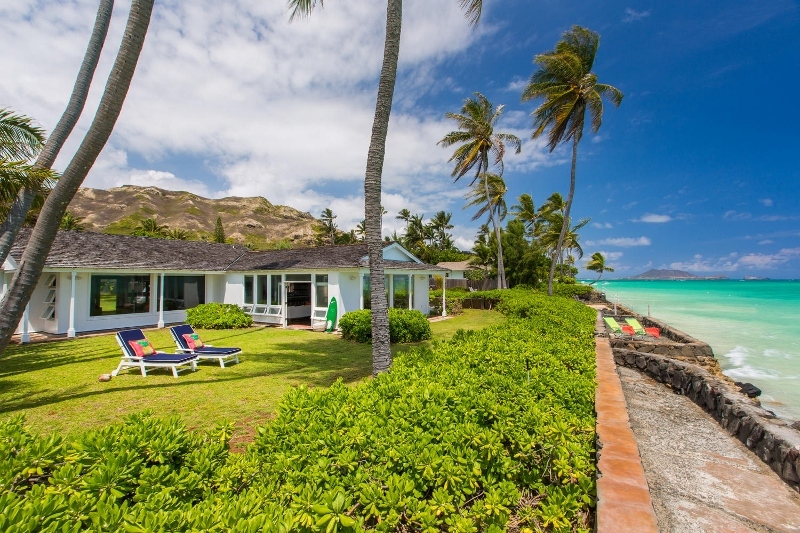 The oceanfront yard offers a picturesque view of the turquoise blue waters. 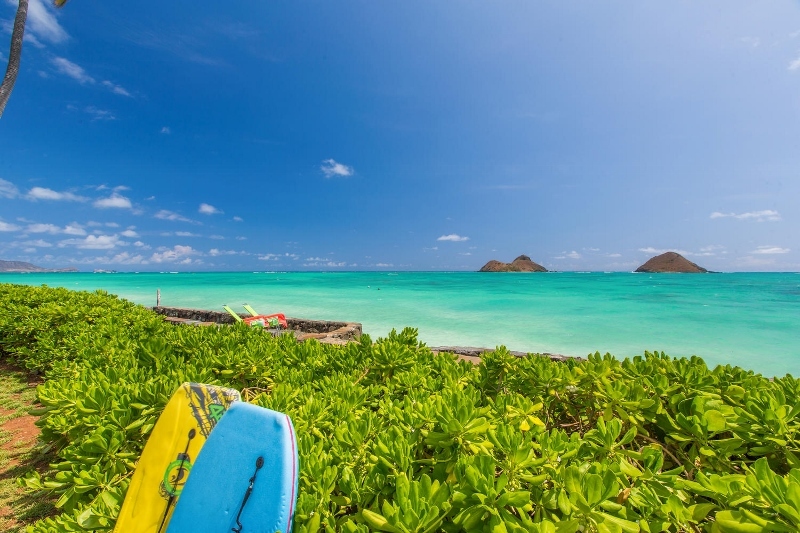 Watch as the kayakers go by, paddling out to the Mokulua Islands daily. 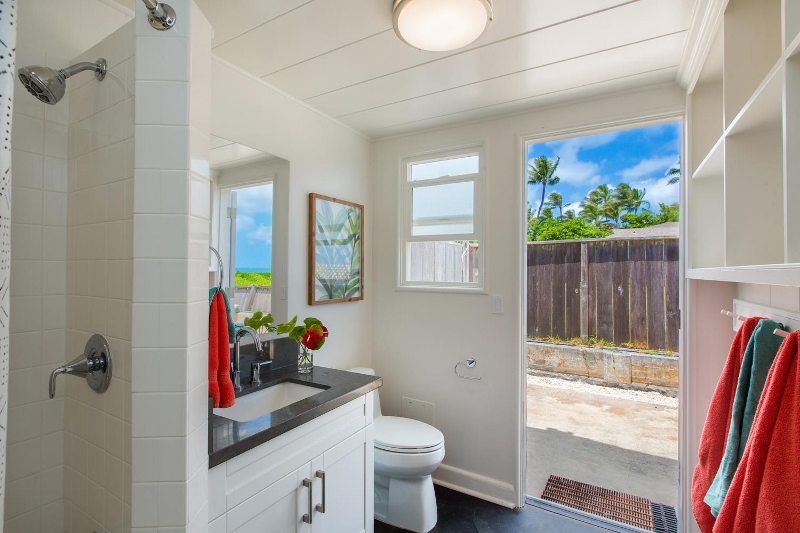 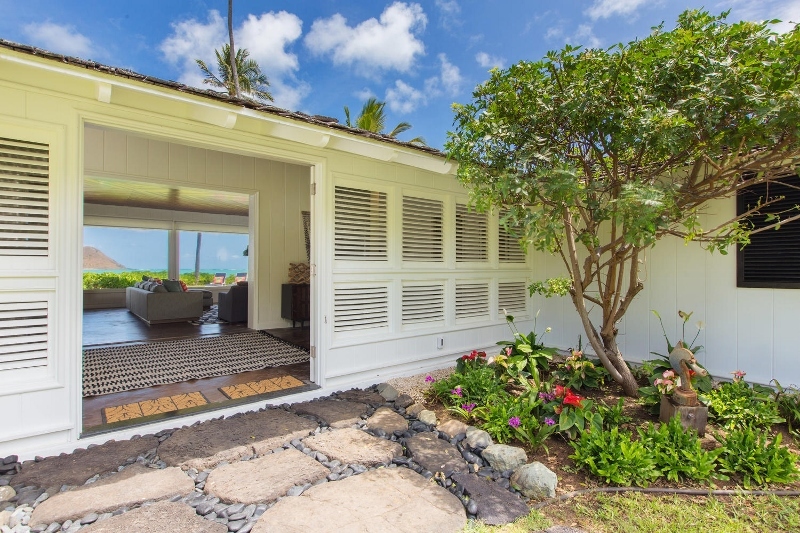 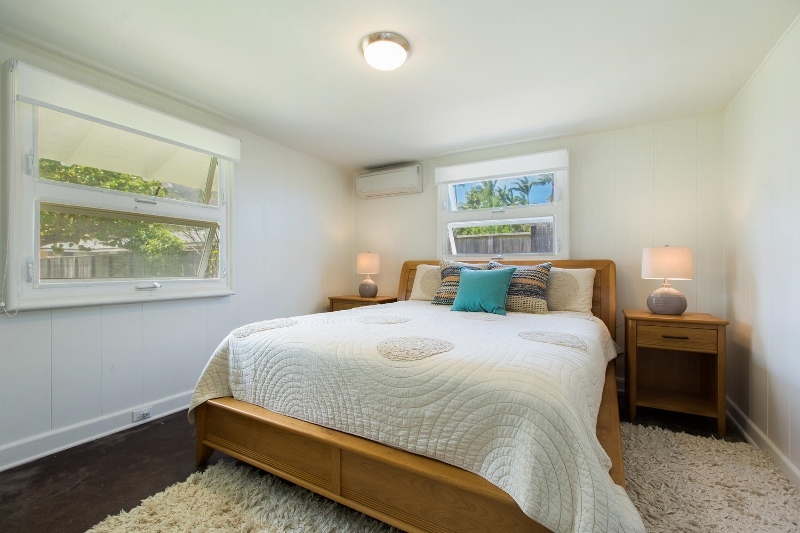 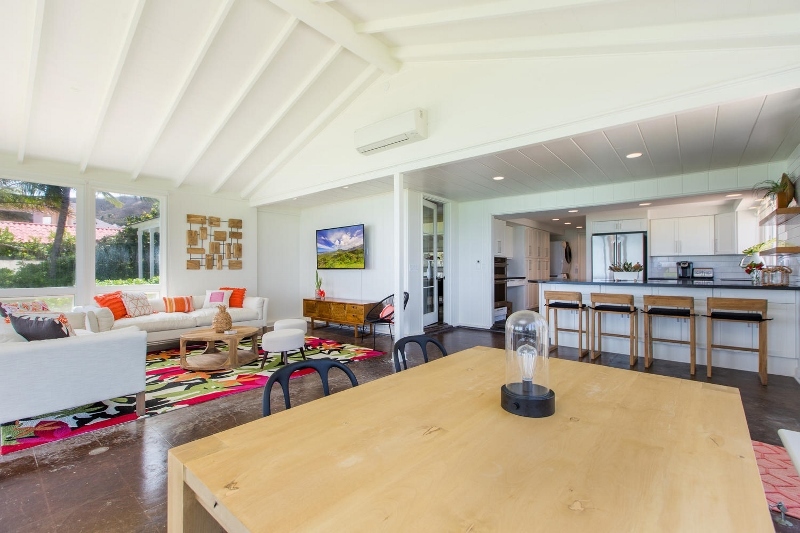 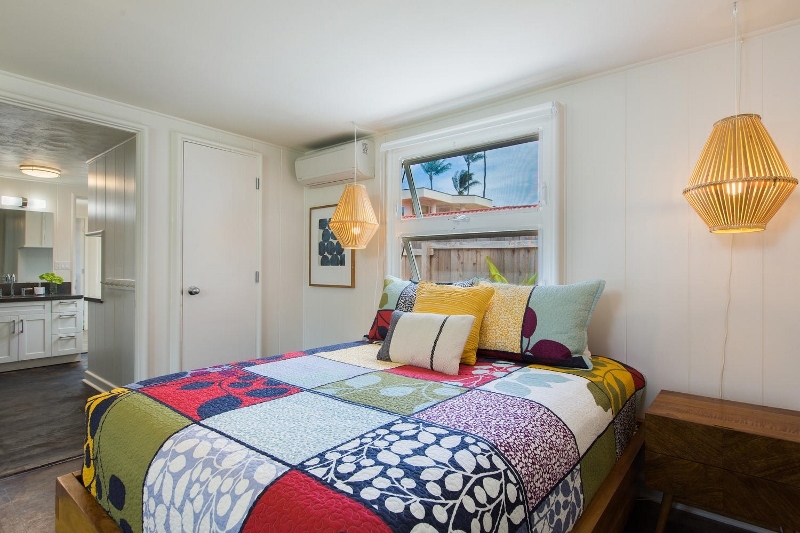 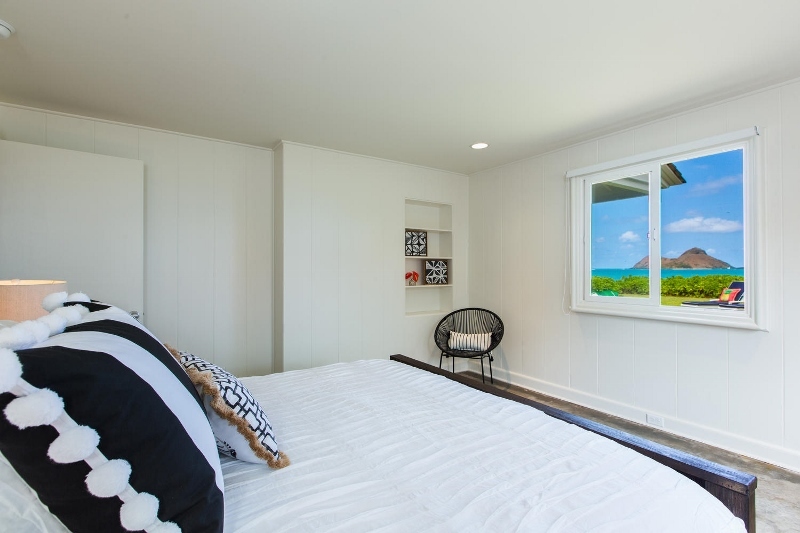 At Lanikai by the Sea, you can fully live the indoor/outdoor way. 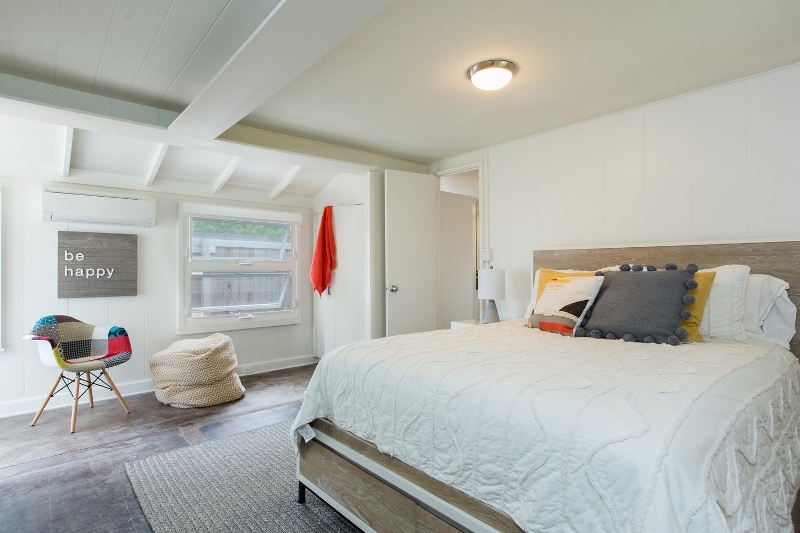 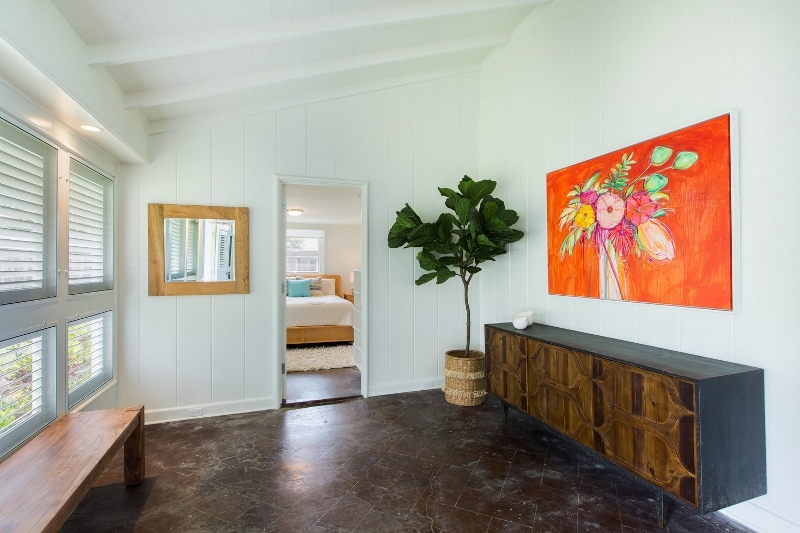 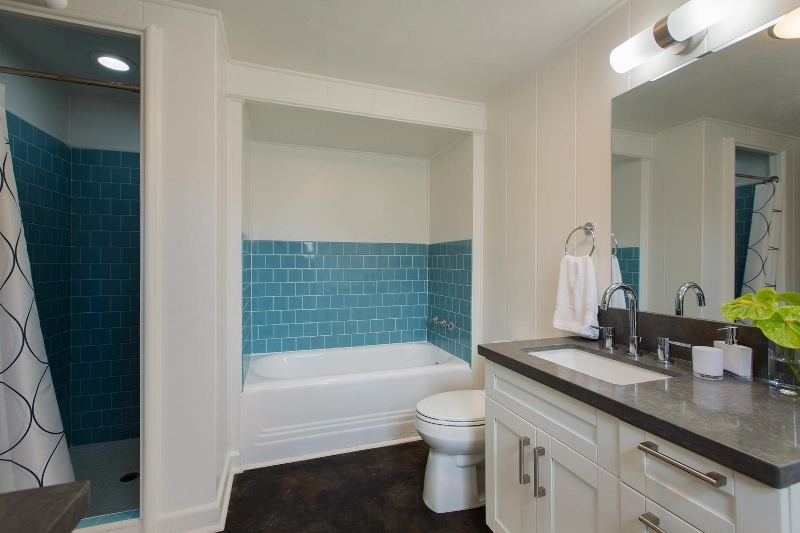 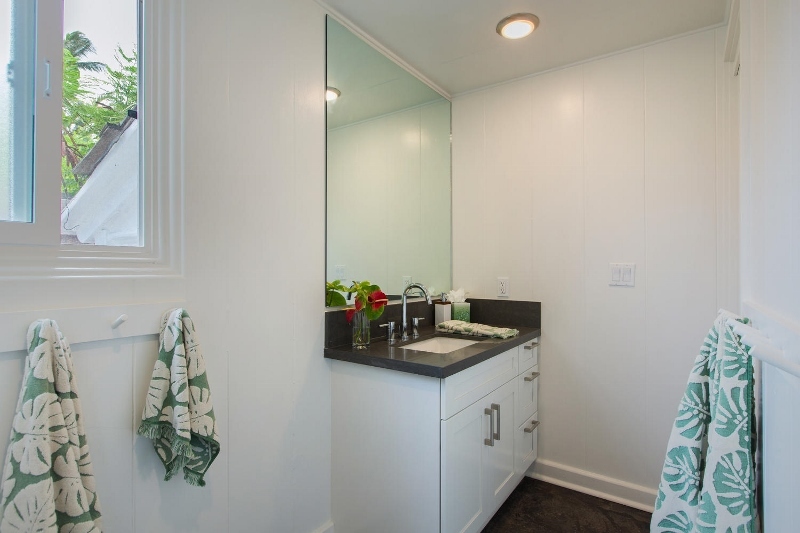 With beach chic, mid-century modern interiors, the main house has 4 bedrooms and 3 baths, plus the guest house with 1 bedroom & 1 bath. 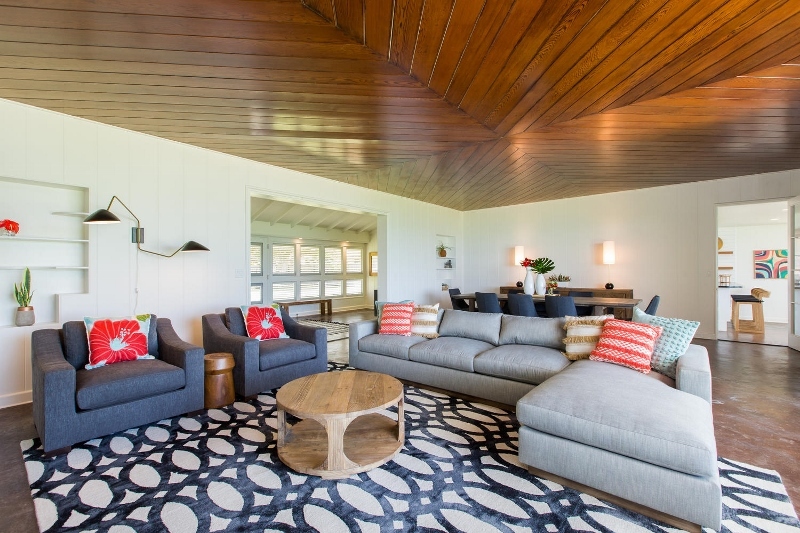 Everything about this home is trendy, cozy and stylish. 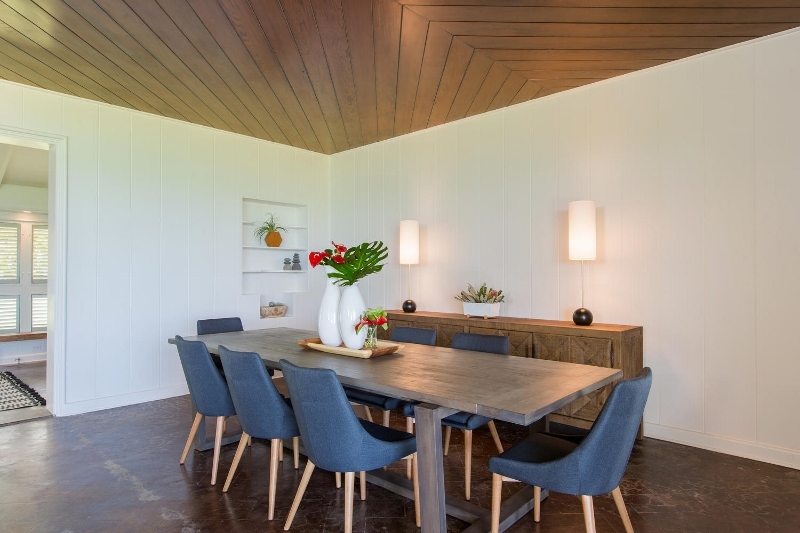 Gather with friends and family in one of the two living/dining rooms, depending on if you prefer a more formal or casual setting. 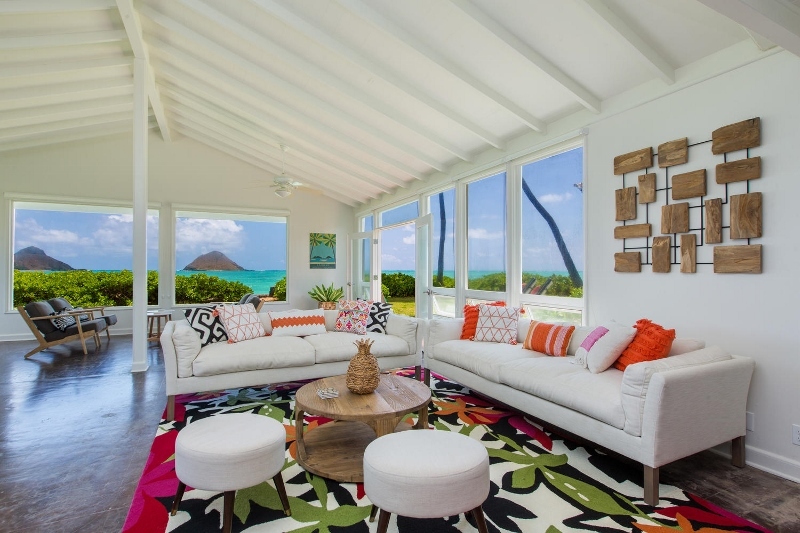 Every bedroom and room is filled with vibrant colors and beachy whites, reminiscent of the island’s natural palette. 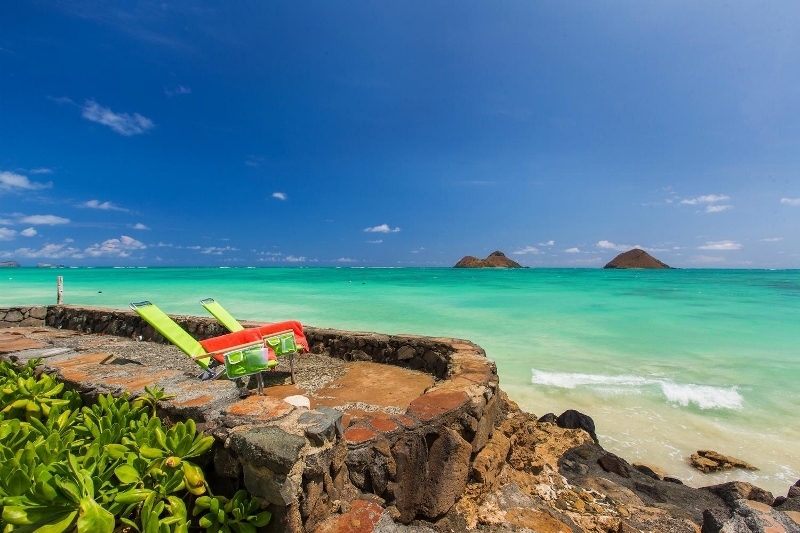 Lanikai by the Sea is sure to make your vacation a memorable and unforgettable one.